The beginning of February, I took my mom and best friend both on a bit of a nerdy shopping adventure for girls day out. It was much needed, since I haven’t gotten to spend a lot of time with my best friend lately, and retail therapy always helps. We started our adventures back at one of my favorite places, Villainous Grounds in Perryville, MO. I caught up on some comics I needed, since they were having a fantastic sale (25% off single issues, if I remember correctly) and picked up a cup of delicious hot chocolate before we set out for our next destination. 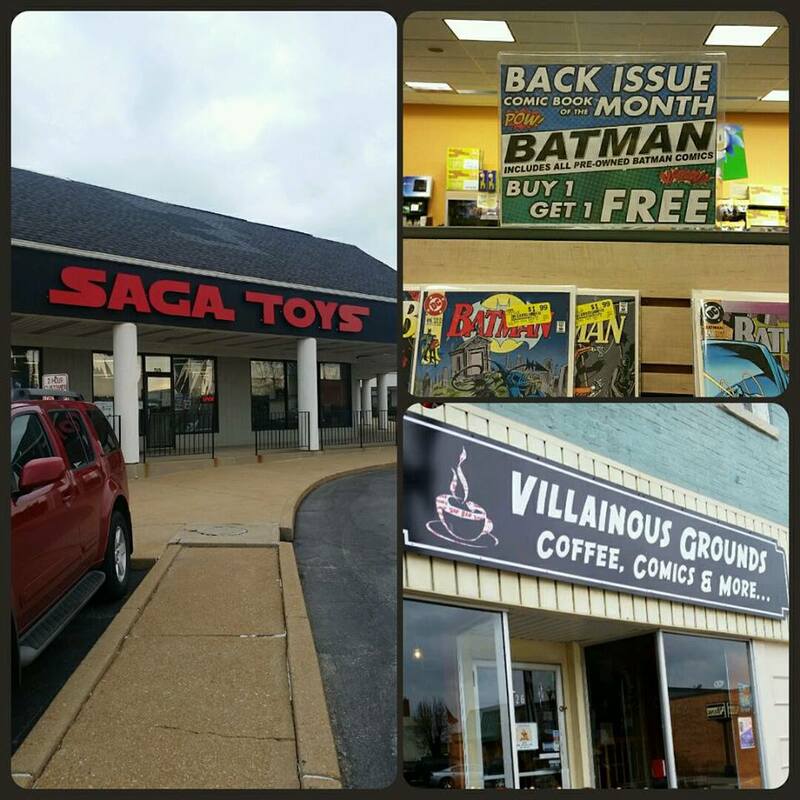 Brittaney had told me about a store in the St Louis area called Saga Toys, gushing about how amazing it was and promising me I would love it. She was not wrong! I hope to go back some time with more money and focus, and do a proper post on just this store alone. 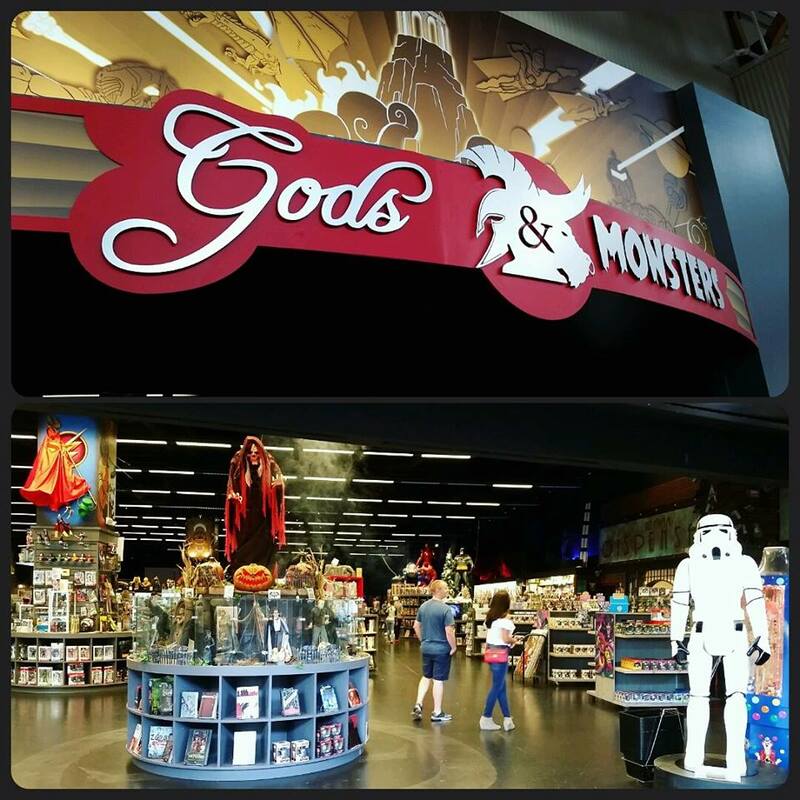 Saga Toys is huge, filled with new and old, loads of Legos, tons of Batman (yay, me!) and – as you would expect – SO MUCH STAR WARS! Then we moved on to the mall closest to where we were – South County. Inside, though, are two of my favorite stores to hunt for collectibles in: V-Stock, and Slackers. 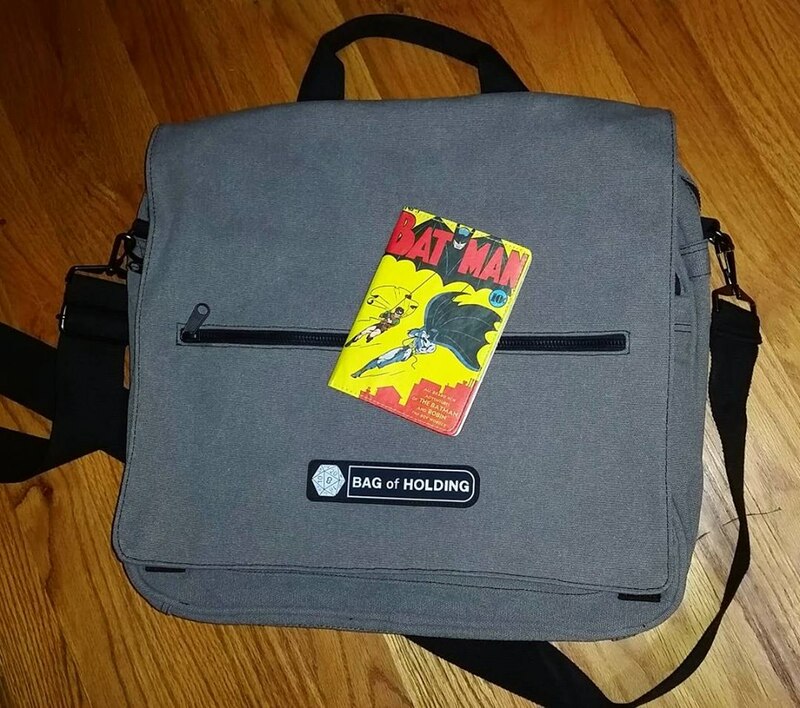 I bought a bunch of Batman books in V-Stock, since they were having a BOGO free sale on Batman back issues and pre-owned comics. OOOOOH, yes. Then, my only pick up from Slackers was the newest All Star Batman, I believe. Overall, it was a great day of nerding out and spending quality time with my best friend. If you’d like to see more of these collection hunting posts, and maybe including the haul at the end, let me know in the comments! I have LOADS of posts to catch up on, and Wizard World St Louis is just around the corner. So stay tuned!